In a previous post, I wrote about how controversy changed SCRABBLE, about how the SCRABBLE Dictionary evolved thanks to Judith Grad and her crusade to rid the world of derogatory and racist words. She won, at least in some manner, but the fact still remains, racist or not—words are words, and they're here to stay. Despite having about 167 offensive words removed from the SCRABBLE Dictionary, the debate continues today about dirty language, thanks to all of the online games and handheld device applications. 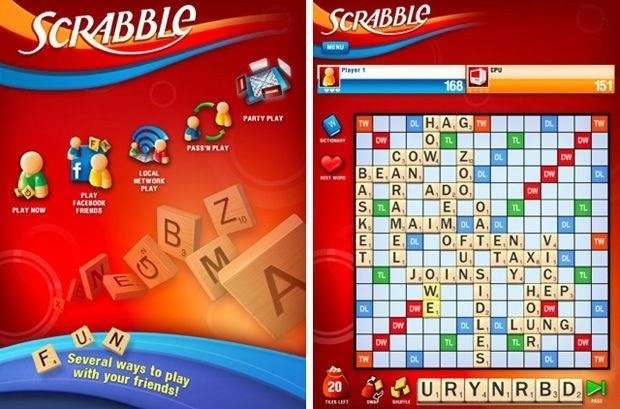 SCRABBLE for the Apple iPhone, iPod, iPad and on Facebook are under scrutiny now by word Nazis abroad. News of the World wrote a small article about all of the racist and offensive words in SCRABBLE, when then "...found the game allows players to use vile racist insults." 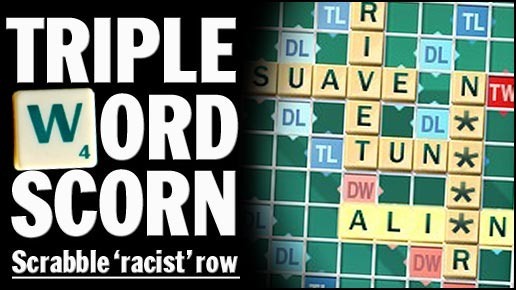 "We discovered several highly offensive terms - including the N word - in the Collins Scrabble Dictionary and on the iPhone and Facebook versions of the game that can be used by any age group. "Apart from "n****r" and other abusive words for ethnic groups, crude swear words like "f***", "c***" and "w***" are also allowed to be used in the popular board game." 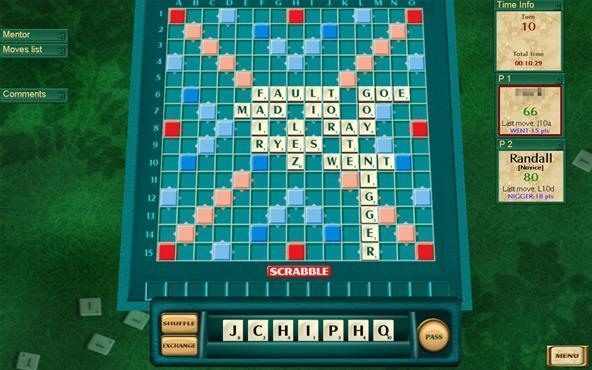 They claim an anti-racist charity is now trying to remove all the words in question from these SCRABBLE games. 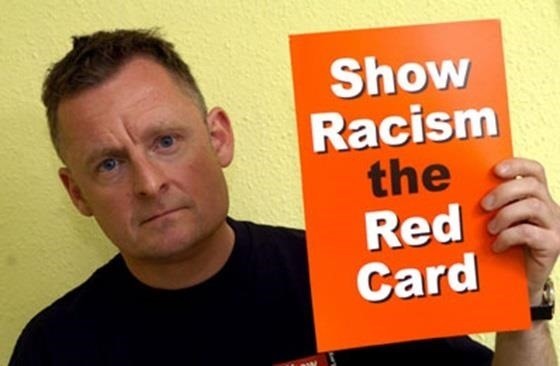 Ged Grebby of Show Racism the Red Card could be the next Judith Grad. He said, "they should be removed immediately." "You don't want these horrible terms interfering in a family game like Scrabble. "We are trying to make sure these words aren't used in general language or as abuse, so we're against anything that makes them acceptable." Thank God SCRABBLE is NOT backing down. A Mattel SCRABBLE spokeswomen said, "these words are in the English language, they are legitimate. We're not about censoring words." Okay, it wasn't Mattel that broke down during the Grad-debacle, it was Hasbro, so one must wonder...will Hasbro give in again? I hope not. If these people win at censoring SCRABBLE again, what's next? Words becoming illegal? Fines for speaking one? Prison terms for spelling one? The death sentence? Who knows. With our current society, I don't doubt anything anymore. For a list of words not included in the bowdlerized Scrabble Dictionary, which are completely legit in NSA, NASPA and in most international play, check out this article. Even though I, too, am offended at the use of some words, it is when the word is used in a derogatory manner, not in the word itself. Yes, racism is wrong, and words can be used in a racist manner. But the word itself is not racist. Denying one the ability to use or criminalizing the word is worse than racism. It is a shame when some attempt to act as Thought Police. Their action in this endeavor is more offensive than any derogatory use of a word. Theirs is the true hate-crime. "Word police" are the biggest bigots of all ... bigoted words are words by definition. Get a life!!!!!! c&*t is one of my favorite scrabble words. You get rid of two crappy letters in one fell swoop!